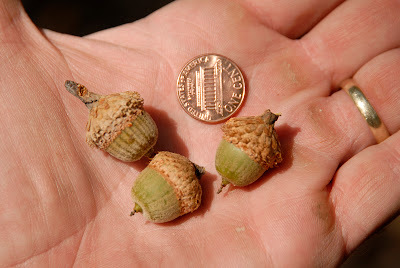 In my 2007 preseason scouting, I have found numerous Southern Red Oaks with good acorn crops. 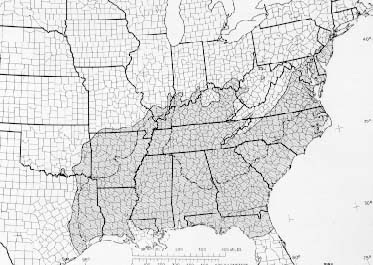 Southern Red Oaks are found in the Southeastern U.S. from the Florida Panhandle to Northern Kentucky. 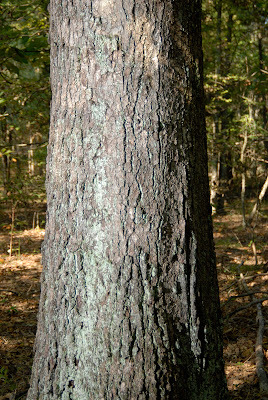 Southern Red Oaks are not easy to distinguish by their bark, as it is very similar to several other oak species. 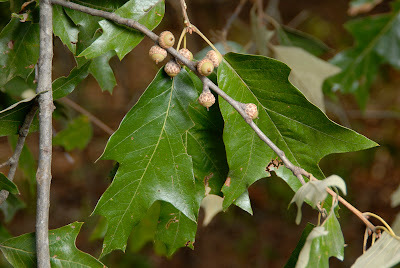 The distinctive three-lobed leaves of the Southern Red Oak are the best means of identifying this tree. The middle lobe generally has several pointed "teeth". The rounded base end (toward the stem) is a distinguishing characteristic. The acorns of the Southern Red Oak are round-ish often with longitudinal stripes that run from base to tip. The cap encloses about 1/3 of the nut and ends in a broad stalk-like base. Next, we'll take a look at the chestnut oak.